Are you looking for something ready to be shipped to you? We sell sample pieces ready to be shipped both at our Etsy store and at our own website. In our Etsy store you can find all items that are made for example purposses or used in a photoshoot. The prices of these items are therefore a fraction of a custom creation. So if you are looking for instant gratification or when you are on a budget, our Etsy store or webshop might just have something you need! 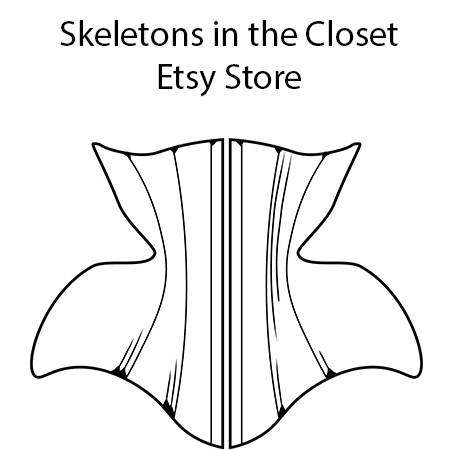 Click on the corset to go to the Etsy Store! Or click here to go to our sample sale album.